Instyle magazine asks San Diego dermatologist Dr. Melanie Palm the cause, treatment, and at home treatments for ingrown hairs in the bikini zone. Popsugar asks Southern California dermatologist how to get skin prepped for festival season and keep it glowing through Coachella. InStyle magazine seeks expert opinion from San Diego dermatologist on the anti-aging, anti-inflammatory, redness-reducing, and collagen boosting properties of some seaweed extracts. San Diego dermatologist Dr. Melanie Palm speaks to Healthline about determination of normal, oily, sensitive, and dry skin types and how best to address treatment of each. San Diego dermatologist Dr. Melanie Palm discussed the most effective shampoo agents for treating dry scalp and dandruff. 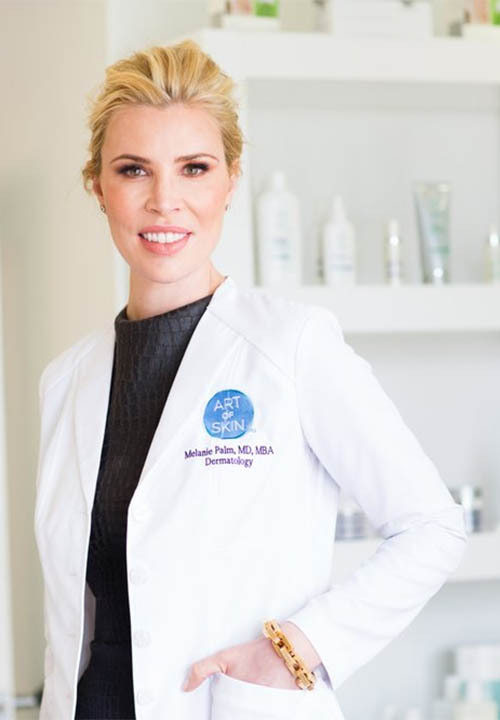 San Diego dermatologist Dr. Melanie Palm shares with MSN skin hyperpigmentation and brown spots in darker skin tones and the most effective treatments. Marie Claire magazine asks San Diego dermatologist about hyperpigmentation and brown spot treatment including topical therapy, skin brighteners, sunscreen, chemical peels, and laser treatments. How to Get Rid Of Cystic Acne When do you need to rope in a dermatologist? Men’s Health asks Dr. Palm to discuss the causes of cystic acne in men and effective treatment options including topical treatments, oral medications, and laser and light therapies.